Last year there was a lot of buzz about a new restaurant opening near Antique Row in West Palm Beach. The chatter said that the team behind the very successful Buccan in the Town of Palm Beach was opening a new place called Grato. What made Buccan a must try spot was the rock star chef and two-time James Beard Award semifinalist Clay Conley was involved, now he has turned this former lighting store into the next hot spot in town. Since I don't really like waiting to eat at restaurants, especially ones I haven't tried yet to know if they are worth waiting for, I never went to try Grato. After my friend got us some reservations on a Sunday night, I decided to make the trek up to this section of Dixie Highway and see what Grato in West Palm Beach had to offer. We ordered a basic $16.50 Margherita pizza. It didn't take too long for the pizza to come out, and we were seated close enough to the pizza oven that I was actually able to watch as our pie was made. 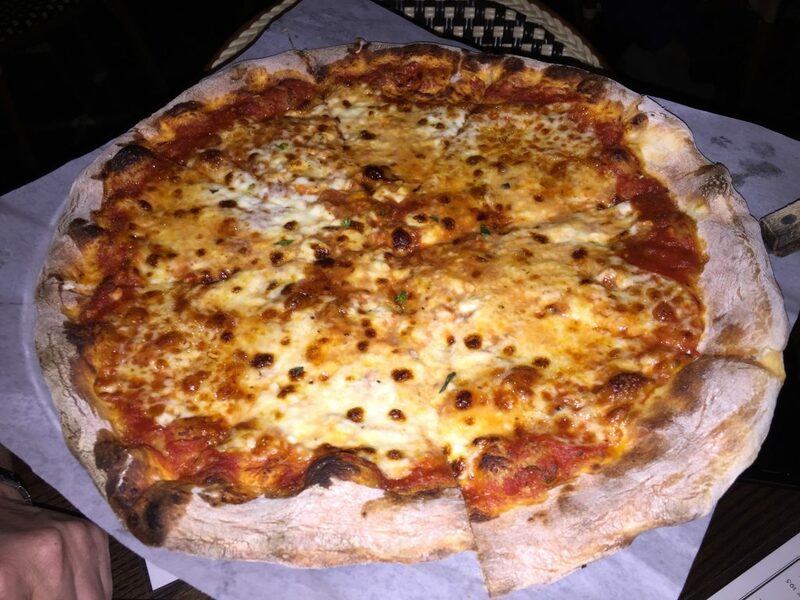 Although it didn't appear that the pizza maker used excessive amounts of flour, when the pizza arrived it was layered across the top part of the crust. 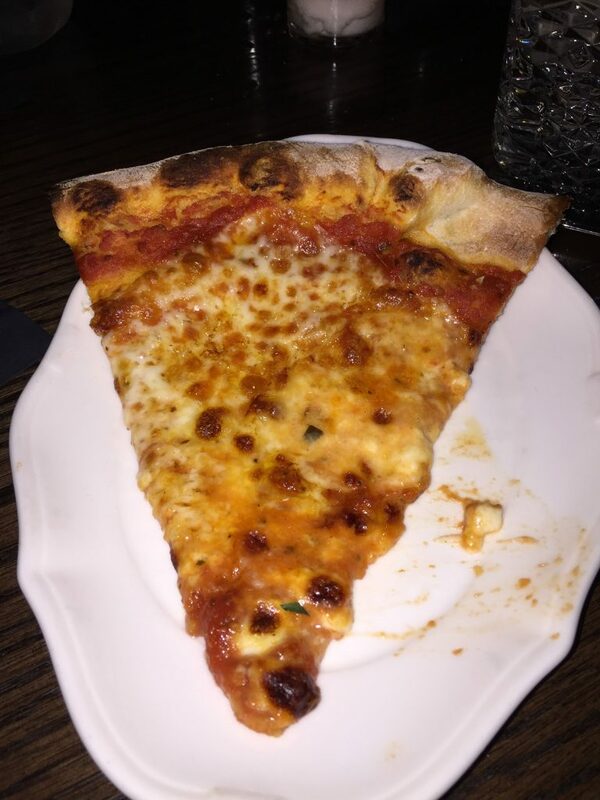 I didn't let that stop me from diving in and taking my first slice. My first impression of the pizza was just ehhhh. It was soggy, and just had a sort of bland, mild taste to it. My second bite was a bit better, since it wasn't so hot. Although it still was mild, it had a nice taste to it and it was easy to notice the quality ingredients used in the pizza here. I couldn't tell if the oven was actually wood, or if they just burn some wood to make it appear like that, but it works on gas. I will have to ask the next time I go. My second slice ended upside down after flipping it on the table, so I patiently waited to see if my guests were done, and then I grabbed my final slice. The sauce here is fresh and quality but not very sweet. The cheese is definitely fresh and of the highest quality. The dough wasn't extremely tasty but I think that was mainly due to the excessive amount of flour on the pie. Here is a photo above to show what I am talking about. Lots of restaurant owners love to question me on my assessments so it is best to show a visual. This way there is no room say "you don't know what you are talking about, we don't put excessive amounts of flour on our pizzas". 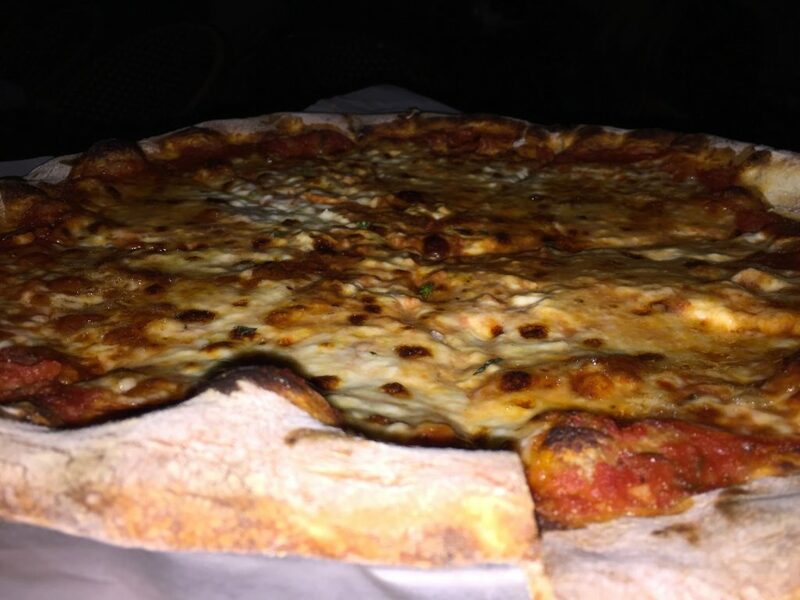 Grato in West Palm Beach is a place I would return to and try the pizza again. The scene is trendy and the place is usually packed. 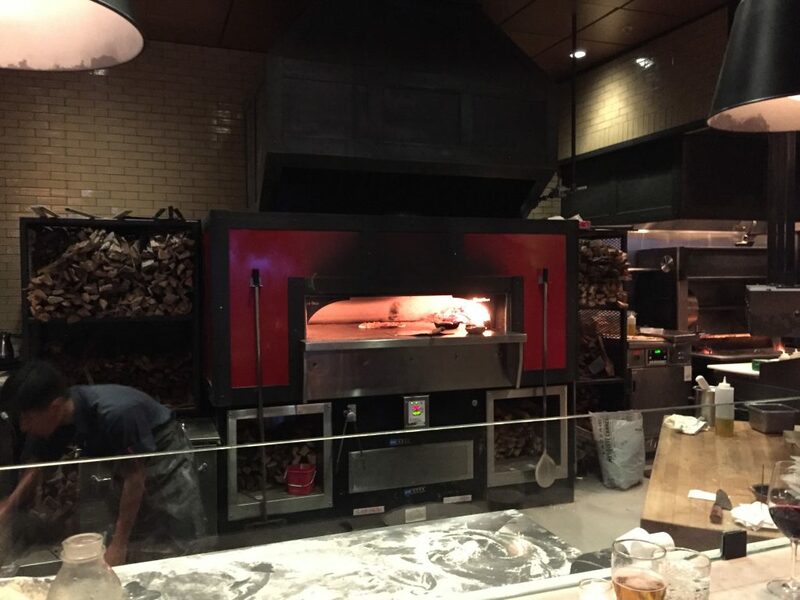 The lighting is dim, and the wood burning in the oven is bright. Next time I might sit at the pizza counter to watch what goes on there for a while. Grato Pizza in West Palm Beach gets 6 out of 8 slices.